As Super Bowl XLVIII quickly approaches and New York City serves as the host for the biggest sports event of the year, residents and visitors will be walking Super Bowl Boulevard (Broadway between 34th and 47th Streets) en masse. 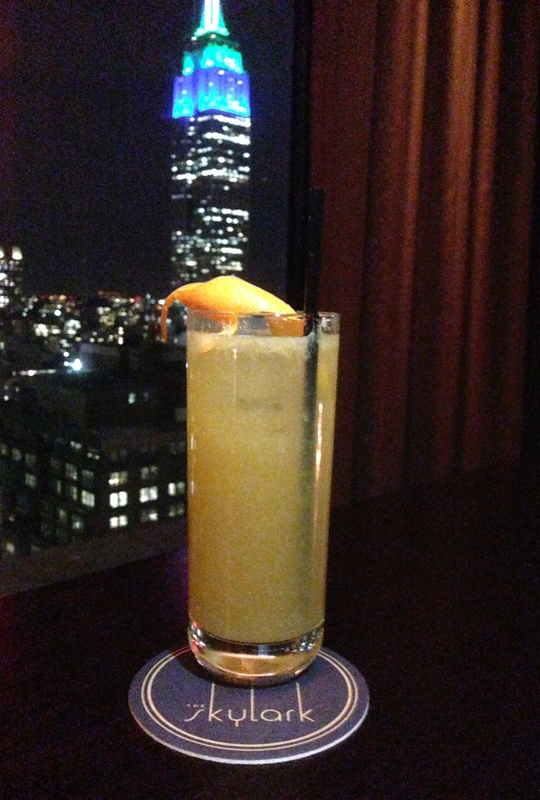 Just one block away but high above the Boulevard, guests can take a break at The Skylark, a newly opened lounge with a view that stretches from the Empire State Building to the home of MET Life stadium. Football fans can take a sophisticated break from the city when transported up 30 floors to relax and reinvigorate in the luxe lounge designed by Meyer Davis Studio. 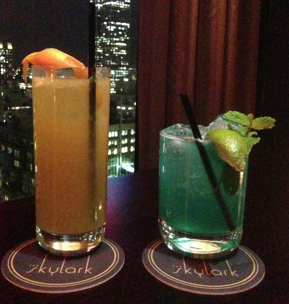 The Skylark and mixologist Johnny Swet have created the below Super Bowl cocktails to help celebrate the big game. Muddle a hand full of mint with 2 lime wedges in a tin. Shake with ice-FINE strain into rocks glass add ice, splash soda garnish with mint sprigs and lime wedge. 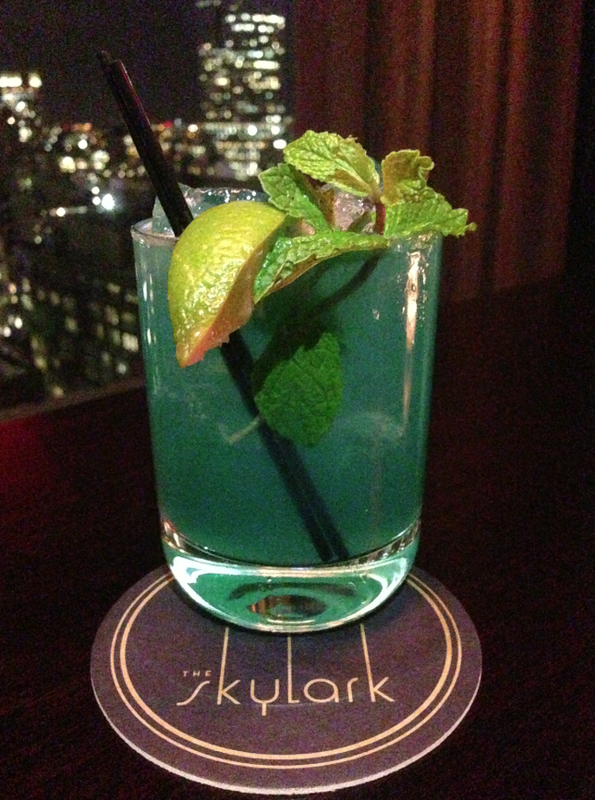 The Skylark is open daily from 4:30pm until midnight: perfect for a pre-theater drink, a post-dinner night cap or just quick break in the evening. It is open to the public and located at 200 West 39th Street between 7th and 8th Avenues.